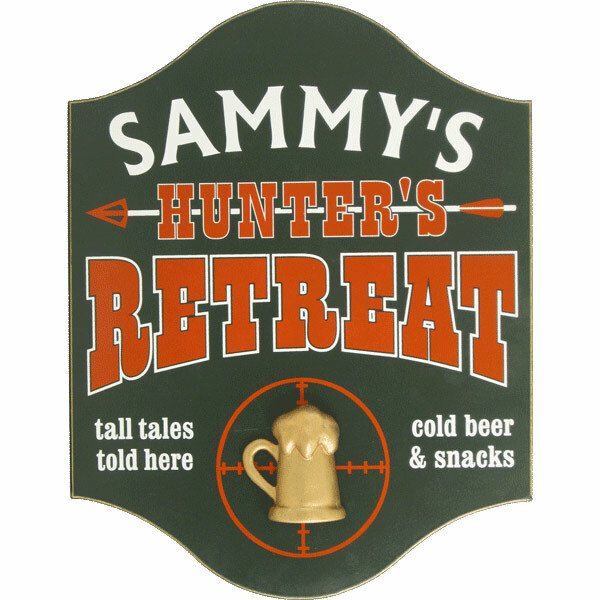 This Personalized wooden sign makes a great gift and is handcrafted in the USA of furniture grade wood and professionally silk screened by hand. Displays a hand routed edge with gold pinstriped border. Keyhole hanger on back for easy door or wall mounting. Ships in 3-5 days.